I know. I know. You think a minivan is so uncool. 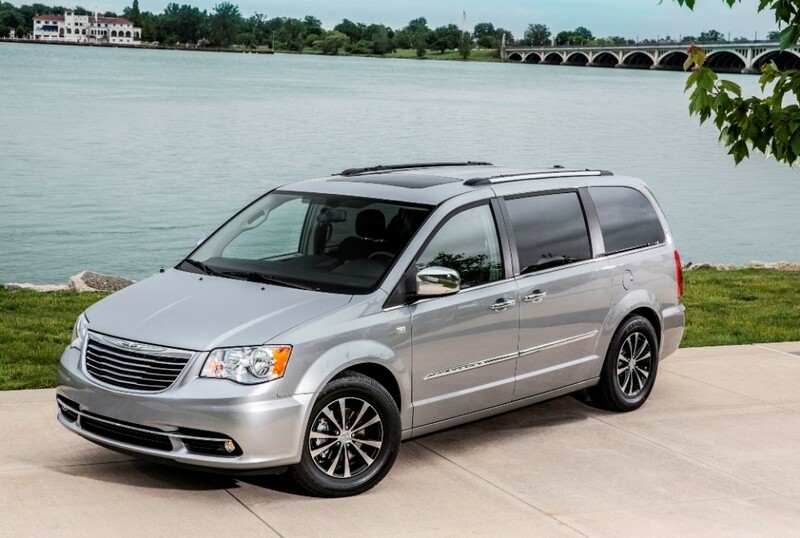 But, if you have a gang of kids that you are taking out to one of the neighborhood lakes stocked by the Texas Department of Parks and Wildlife, maybe a a vehicle like the 2014 Chrysler Town & Country is the right choice. I recently took one on a series of one day and overnight trips with three or four adults and three children ranging from four to eleven. Our ride was the 30th anniversary edition of this iconic vehicle and, despite rumors of the death of the minivan, it just ain’t so. With a crowd like this, the only alternative vehicle would have been a full-size three-row SUV or crossover which would have raised our fuel bill considerably for the week. 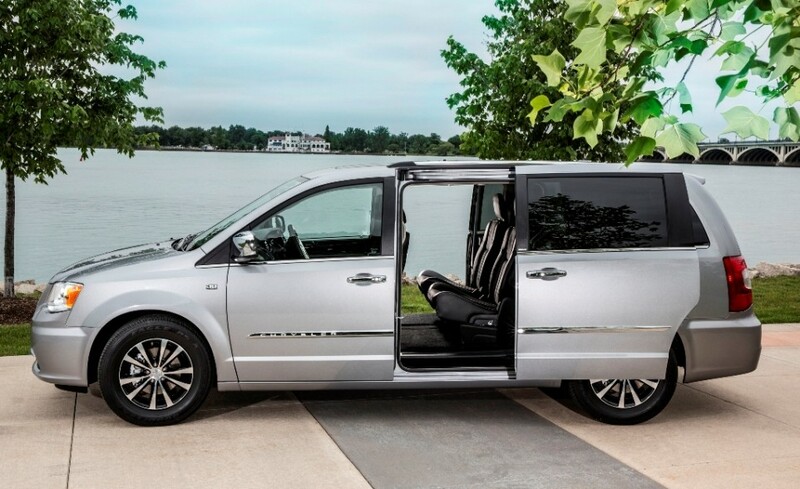 This minivan had everything that we could have needed at a price of $37,885 delivered. (The base for this edition is $34,165, fairly well equipped.) It has a 3.5L Pentastar V-6 engine mated to a 62TE six-speed automotive transmission which delivers excellent power to the 17-inch polished satin carbon aluminum wheels and coordinated premium low rolling resistance tires. The specs don’t lie — the engine is rated at 283hp with 260-lb.-ft. of torque. A fuel economizer mode, the tires and low drag brake calipers and rear bearings contribute to 17mpg city and 25mpg highway. 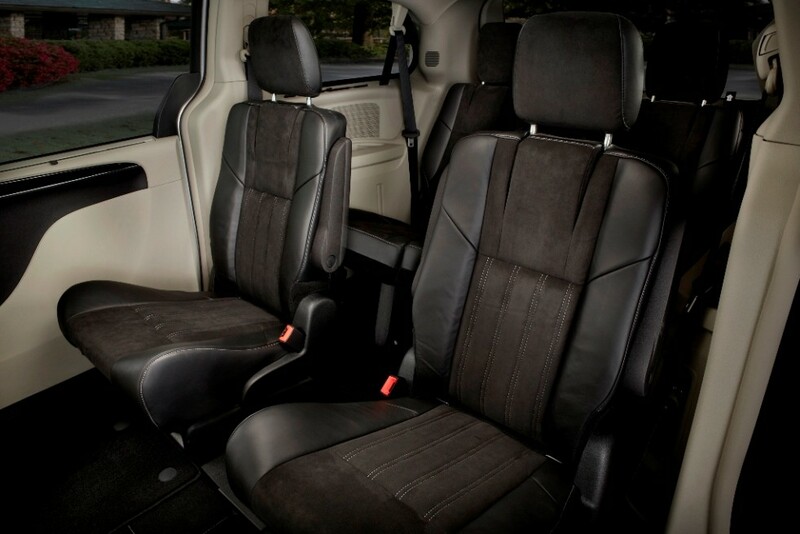 Features included premium fog lamps, stow N place roof rack, power multi-function fold away side mirrors, leather-trimmed power front driver and passenger bucket seats, second row captain’s stow’n go leather seats and a third row that flips over to become tailgate seating when needed. 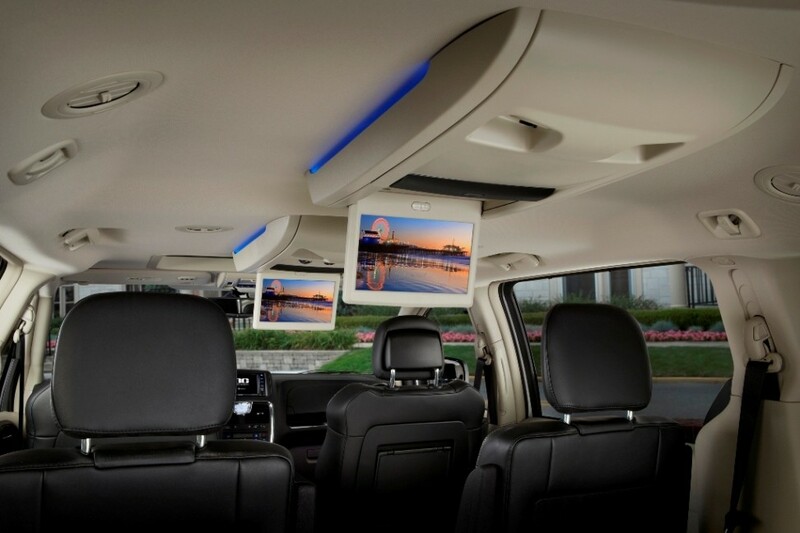 A single DVD entertainment system offers a second-row overhead 9″ VGA video screen with wireless headphones. Those headphones saved this driver’s sanity since three Star Wars videos and the Lord of the Rings series played over and over for the entire week. Remote opening power sliding doors and power windows gave us great access and the adults took turns sitting in the third row to get a feel for its possibilities. Integrated second and third row window shades keep the sun off and the 3-zone automatic climate control system kept us comfortable although temperatures were well up in the 80s some days and the 50s other days…after all, this is Texas. There was also keyless remote entry/start, dual second row in-floor storage boxes,and the full range of safety features including electronic stability control, blind spot and rear cross path detection, rear park assist, sensitive windshield wipers, rear backup camera and a full retinue of airbags. 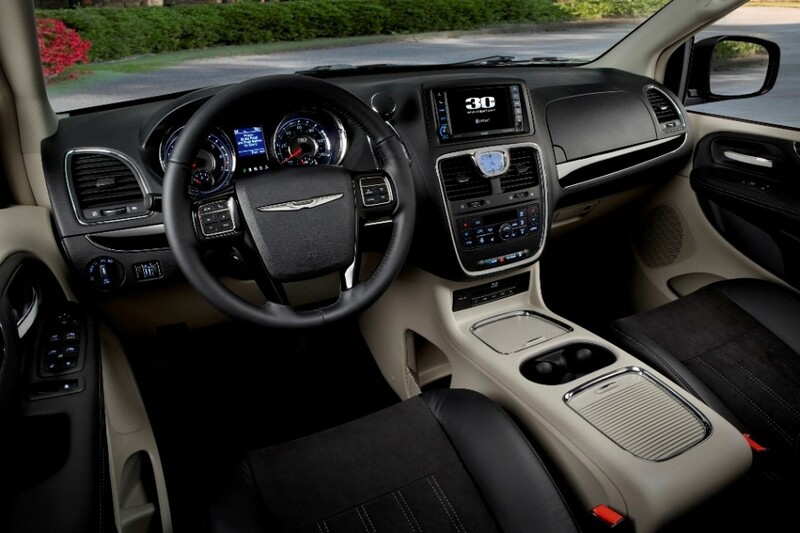 Infotainment is delivered through Chrysler’s Uconnect CD/DVD/MP3 HHD system with SiriusXM and Bluetooth hands-free capability. 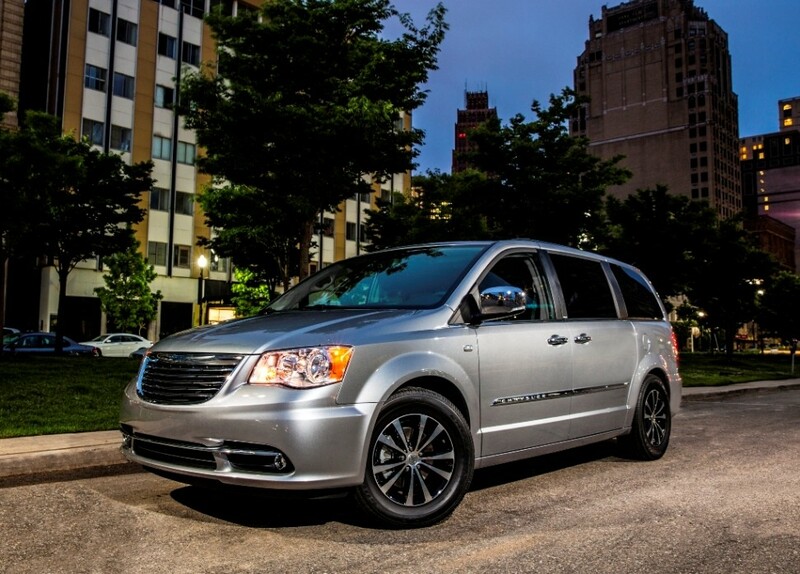 The Town & Country is a leader in its segment and has sold over 13-million vehicles since 1983. The current edition has received recognition as a Consumer Guide Automotive Best Buy for 2014 and a Best Buy recommendation from Consumers Digest; it has also been awarded its 13th consecutive Polk Loyalty Award. There were several high points to this family adventure week and they deserve a mention, whether your ride is a sedan, CUV, SUV, pickup or minivan. Longhorn Cavern State Park in Burnet County made a great day trip with hiking trails and eco-tours, including a trip through the caverns that takes about 1-12 hours. While we didn’t camp out, facilities are available at nearby Inks State Park. Full info is available at the Texas Parks & Wildlife website. For a sky-high adventure, we experienced iFly, an Austin indoor skydiving facility where you suit up and take a short class, then enter a chamber with an instructor to try your hand at a form of skydiving. It is an expensive family endeavor but one that should be on your bucket list if this appeals to you. Five of us from age four to ‘don’t you dare ask’ enjoyed the experience. Plan for half-a-day with a group this size — and a charge that can run about $400 including photos and video of the flyers. We did a two-day trip to Johnson City, to an exotic resort zoo which you can find at www.zooexotics.com. There is are more than 500 animals ranging from zebras and camels to deer, kangaroos and lots of farm animals. A single tractor/wagon tour for a family of four is about $60, but there are five rustic cabins that can be booked overnight for $130 to about $200. They are set up for four but additional guests are only $10 each. With an overnight, you can take unlimited tours which are very hands-on at no additional cost. Our gang watched a pair of goats being born one day, and cleaned up and nursing the next. There is an outdoor pool, whirlpool, playground with a range of animals sharing the experience, a catch/release lake and everything you need for a roaring campfire. I asked the ranch management what they do to manage the herds, particularly the domestic deer and exotics. They tell me that they cull males only when there is an imbalance that could be a problem for the rest of the herd. These are taken to market and they “never ask if they are going to hunting ranches”.